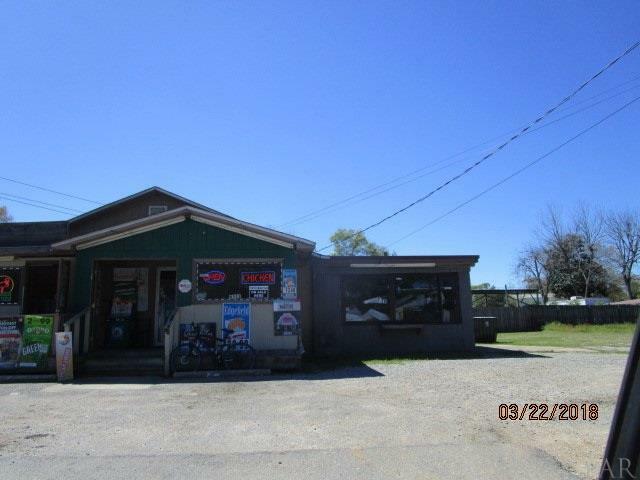 This Heavy Commercial/Light Industrial Parcel is Conveniently Located on the Corner of Johnson and N Palafox. The Building is Currently a Convenience Store. The Parcel Next Door is also for Sale and these Two Parcels can be Purchased Together or Separately. Next Door, the Address is 8515 N Palafox and this used to be a Car Lot and has a 520 Sq Ft Building on it that was used as the Office. This Parcel is 140 across N Palafox and 92 Deep . Purchasing Both Pieces will Offer Approx. 280 Feet Across Palafox. There is a Listing Agent has taken all of the information from the County Property Appraiser&apos;s website. While the Listing Agent does believe that the acquired information is accurate, the Buyer and/or Buyer&apos;s Agent should verify all pertinent details related to this property, including but not limited to parcel dimensions, acreage, school zone, zoning classification, land use & any other information that may affect the Buyer&apos;s decision to purchase this property.